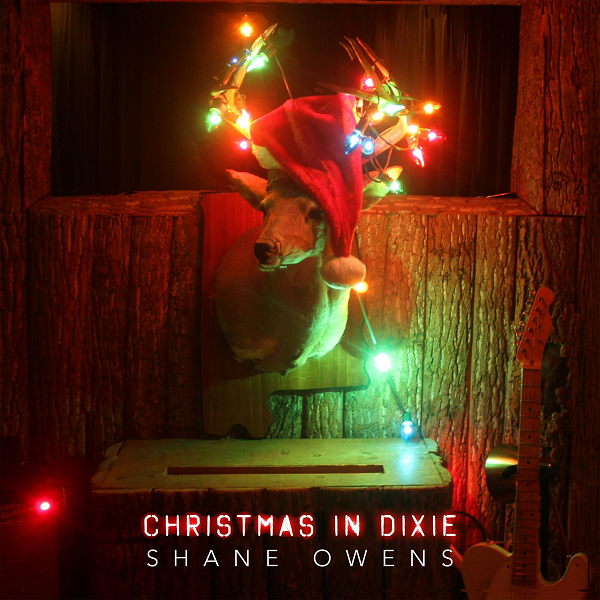 SHANE OWENS TO RE-RELEASE ‘CHRISTMAS IN DIXIE’ SINGLE FOR HOLIDAYS; SET TO HELP RAISE FUNDS FOR ‘CAST FOR A CURE’ CHARITY EVENT | 2911 Enterprises, Inc.
NASHVILLE, Tenn. — Neo-Traditional Country singer and Alabama native Shane Owens is re-releasing his holiday tune “Christmas In Dixie,” a song originally sung by Country Music Hall of Fame members, Alabama. Originally released in 2017, Owens blends his rich and bold baritone voice over a mixture of contemporary and classic country music sounds that wraps the notes around the listener’s heart in this classic Alabama inspired holiday song. The song is available now, and can be downloaded through all major digital retailers including: iTunes, Google Play and Amazon Music. Owens is also set to help raise money and awareness for Cystic Fibrosis by participating in the Cast For A Cure charity event on October 5-6, 2018 at Lake Guntersville State Park. The event is benefiting the Children’s Hospital of Alabama. Owens will perform a FREE, open to the public acoustic concert, on Friday, October 5 at 7:00 pm CT during the anglers meeting at the Beach Pavilion at Lake Guntersville State Park. Donations benefiting Children’s Hospital of Alabama are tax deductible and greatly appreciated. More information can be found at facebook.com/castforacurecf or ChildrensAL.org. Shane Owens released his latest musical project, It’s A Southern Thing, earlier this year with six tunes that remains consistent with Owens’ traditional country sound, blended with a modern edge. The first single, “Lie,” garnered positive reviews from outlets such as Billboard and Rolling Stone Country. It’s A Southern Thing can be purchased or streamed here. You can find Shane Owens music on Apple Music, Spotify, and Amazon Music and stay current with him on Instagram, Twitter and Facebook. Be sure to follow his Youtube and visit www.shaneowenscountry.com. OCT 05 – ‘Cast For A Cure’ @ Lake Guntersville State Park / Guntersville, Ala.
OCT 08 – Bethlehem High School / Bonifay, Ala.
OCT 20 – Marshall Univ. Football Homecoming Tailgate Party / Huntington, W. Va.
OCT 27 – Byrd’s Nest / Eufaula, Ala.
DEC 15 – Holiday Spectacular / Newton, Ala.
Named by Rolling Stone Country as one of “10 New Country Artists You Need To Know,” and awarded 2018 Music Row Independent Artist of the Year, Shane Owens has been building a strong following across the Southeast for more than a decade. His powerful vocal range combined with the emotional lyrical content of his songs has made him a favorite of fans, critics, and his fellow artists alike. After starting his career by opening shows for dozens of major stars in the mid-2000s, the baritone performer attracted the attention of Nashville music executives, and he soon landed a record deal. However, with all the changes in the music industry at the time, his album was shelved and never released. Just like the ‘Never Give Up’ mantra of his lyrics, Owens picked himself up and moved on, thanks to famed producer James Stroud (Tim McGraw, Aaron Lewis, Clint Black), Country music legend Randy Travis, who produced his first album, Where I’m Comin’ From, and Amerimonte Records. Never one to sit still for long, Owens followed up with his most recent release It’s A Southern Thing and is currently impacting at radio with his latest single “Love To Try Them On”. For more information about Shane Owens, visit www.ShaneOwensCountry.com.